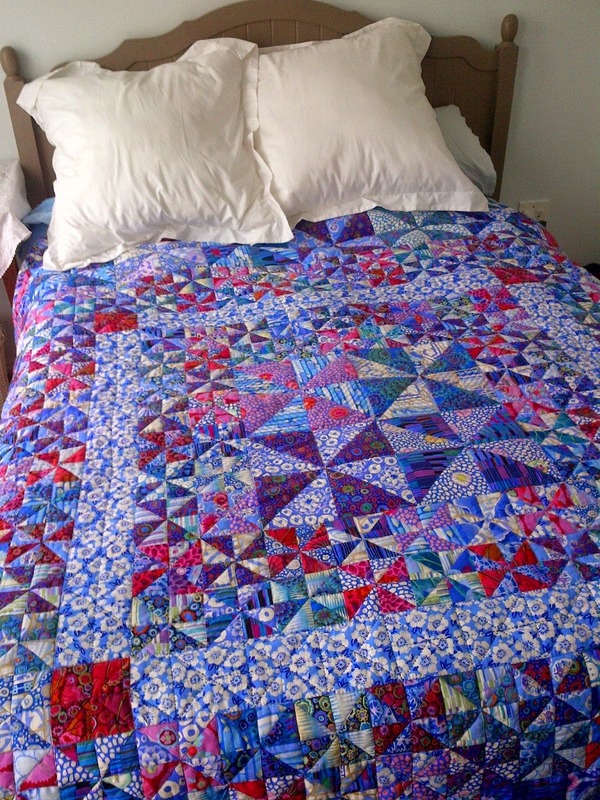 I assembled my first quilt sandwich yesterday, it just fitted on the tiled floor in my bedroom (90" x 90"). 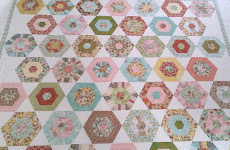 Thank you Oops-lah for the tutorial link Making-the-quilt-sandwich. 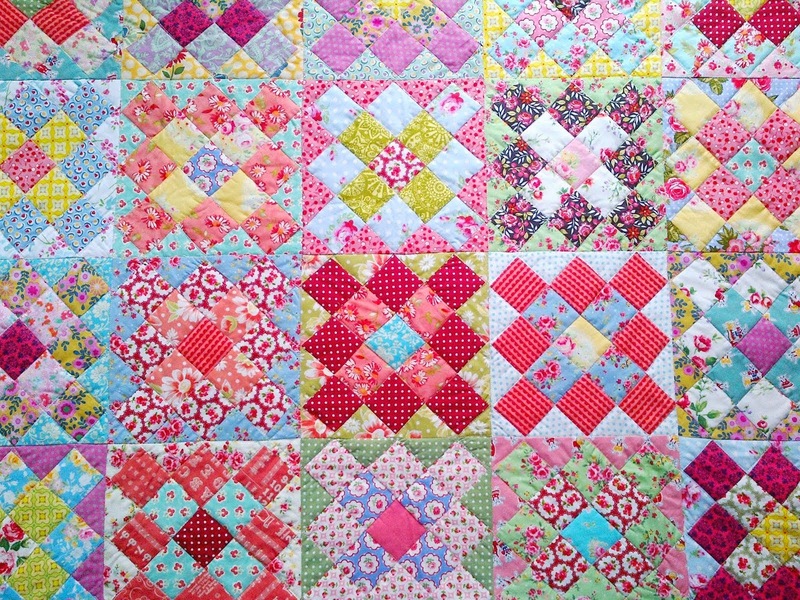 I basted the quilt using the helpful techniques shown by Exuberant Color. Its wonderful to have so much invaluable information available in blogs! I spotted a vivid rainbow over Stellenbosch yesterday. 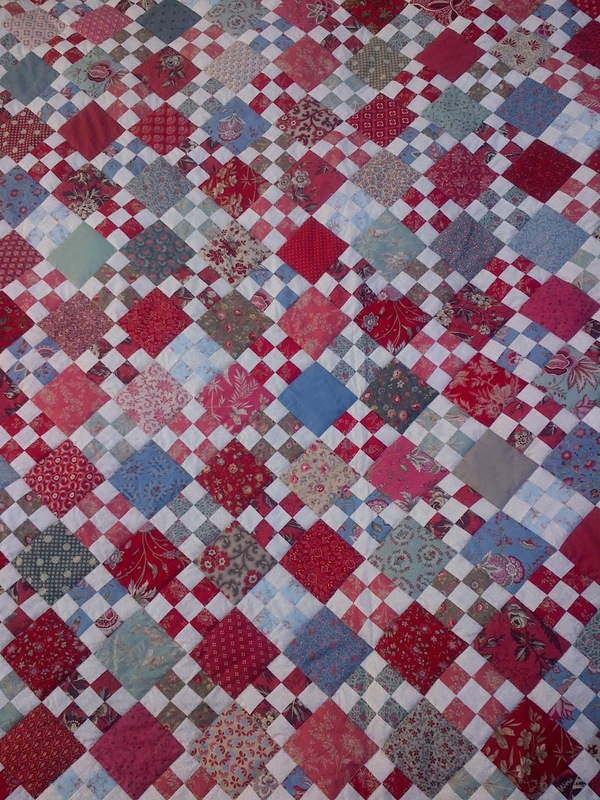 Wow, that's no mean feat to sandwich such a big quilt. I'm sure you're glad it's done. And wow, what a fantastic rainbow. What a fantastic rainbow - God is a wonderful artist everyday the canvas changes and He gives us a magnificent picture. 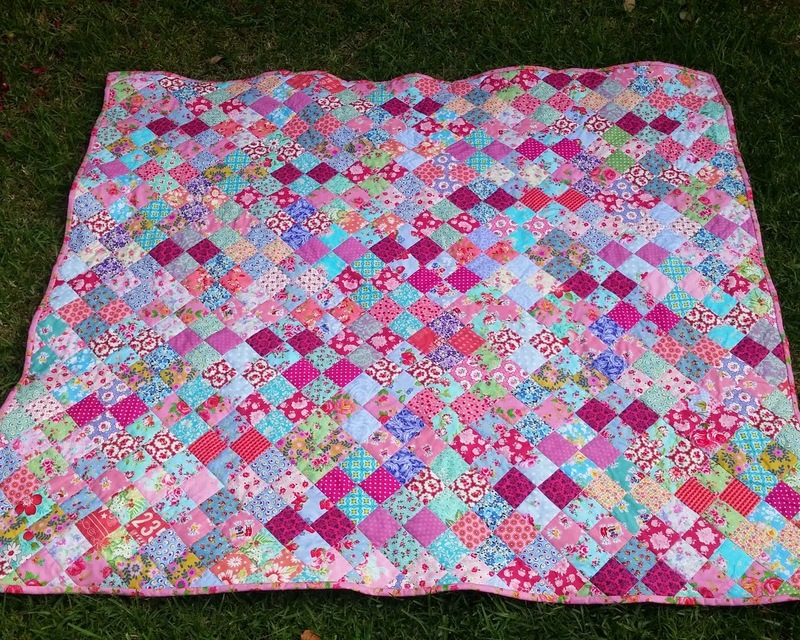 You are very brave to hand quilt that lovely BEEG quilt. Thanks Lorna and Vreni! 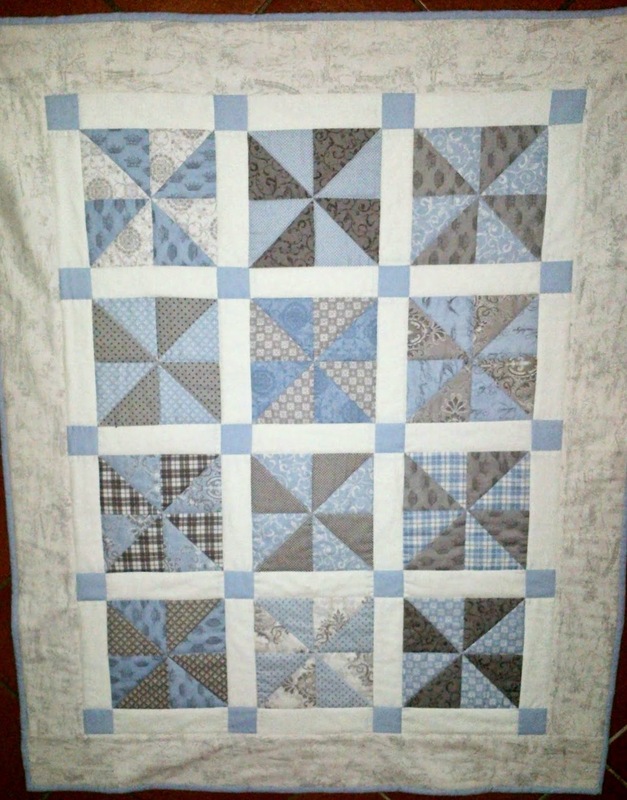 The hand-quilting will take a while but its nice to do while watching TV so I'm glad to be doing it this way.